Hugging the cliffs and headlands of the forests of the Otway Ranges as they drop down into Bass Strait, Victoria's Great Ocean Road is an iconic scenic drive linking old fishing towns and secluded surf beaches. The Great Ocean Road made the news across the globe on Christmas Day. Raging fires destroyed forest and homes in the sleepy hamlets of Wye River and Separation Creek and forced the evacuation of the town of Lorne. Thankfully the damage was limited to a relatively small area of this 250-kilometre drive. The Great Ocean Road starts at Torquay, 1½hours west of Melbourne, and finishes at Allansford near Warrnambool, offering some outstanding eating and drinking destinations along the way. Some of the best are hidden or a little harder to find. Here is a list of some of our favourite places, old and new, offering the true taste of this coastal odyssey. 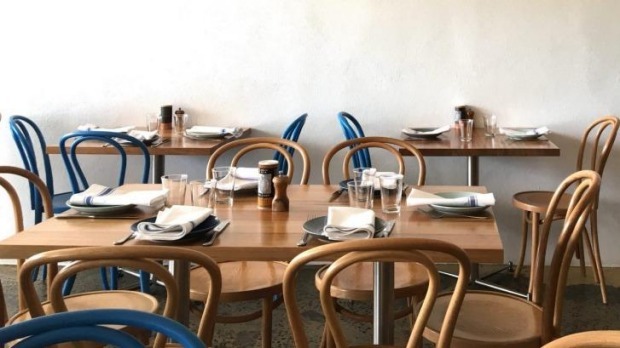 When restaurateur Kosta Talimanidis bought​ back his eponymous Lorne beachside restaurant last year the townsfolk applauded his homecoming. He, his wife, Pam, and sons Alex and Dominic, have revamped the site, giving it a cool, clean, modern makeover and renaming it Ipsos, serving modern Greek food. Come for the lamb keftedes served with tzatziki and oven-baked potatoes with salt and oregano, or the Queenscliff snapper with tomato, onion, spices, and parsley and black olive salsa. 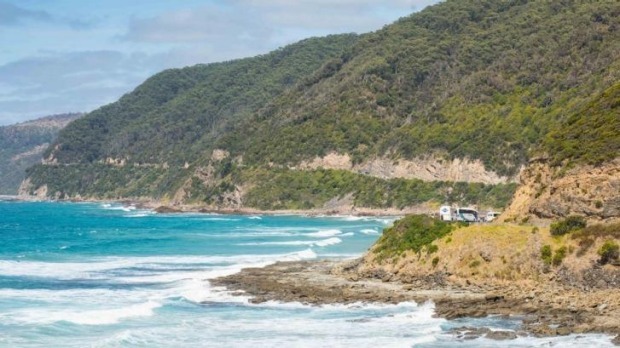 Not far from Lorne, with its stately resorts and holiday homes, is Aireys Inlet. This village in the stringybark forest is best known for its 1891 white-and-red lighthouse on the ochre-hued headland. Here the Talimanidis family have a sister restaurant called A La Grecque. 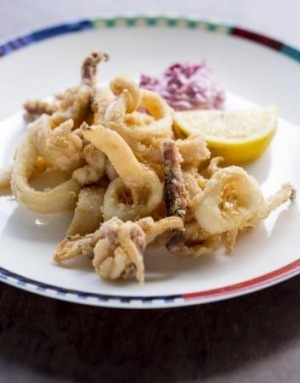 The food here is a marriage between traditional northern Greek cuisine and modern Australian. Try the tender pickled octopus served with smoky char-grilled spring onions, soused onions and eggplant salad enriched with feta. Across the road is the Aireys Pub. A few years back there were plans to tear down this much-loved watering hole. A handful of locals joined forces and gave this old boozer a new lease of life as a family-friendly diner and bar serving good local wines and beers (it's now home to microbrewery Rogue Wave) and casual meals served in an atmosphere true to the pub's surfie roots. Dinner could be local king george whiting battered in house ale with chips or a Birregurra lamb fillet with yuzu and miso jus. Enjoy the meal admiring the azure waters off Fairhaven Beach, or the Jeff Raglus (of Mambo fame) artwork on the wall. Further west, towards the wild and untamed coast of Cape Otway, with its hidden bays once home to moonshine distilleries and pirate-like seafarers, is the fishing port of Apollo Bay. On the main drag is a nondescript set of stairs leading to a restaurant serving lamb, beef and pork from animals raised by La Bimba chef and owner Steve Earl. He also specialises in flipping fresh fish landed by the fishing boats in the harbour nearby. La Bimba is small and casual with a view out over Apollo Bay. Earl serves whole fish cooked on the bone and grilled dry-aged, grass-fed beef steaks without fuss and pretention. With a tight, mostly local wine list and local beers, this is a place of simple luxuries. Just out of town, perched on a bluff overlooking the endless swell rolling in from Bass Strait is Chris's Beacon Point Restaurant. This is a decades-old icon serving contemporary southern Mediterranean-inspired dishes such as spice-cured ocean trout gravlax with poached egg crusted with dukkah, dressed with saffron and lemon; finish with a dessert of walnut and pistachio baklava with mastic ice-cream and cherry preserve. Chris's also offers excellent on-site accommodation. The Great Ocean Road is one of the world's great road trips and best enjoyed broken up with frequent stops. At the little farming village of Freshwater Creek is made perhaps the nation's best sponge cake. A large, fresh home-made sponge cake is filled with fresh whipped cream, topped with a thick layer of passionfruit icing, sold for under $20 at Freshwater Creek Cakes – and is completely delicious. Further west is the holiday town of Anglesea, best known for its protected and patrolled beaches and riot of wildflowers in spring. Here you'll find the surfie munchies haven of Jum's BBQ Chickens – famous for it apres-surf hot chips and gravy. 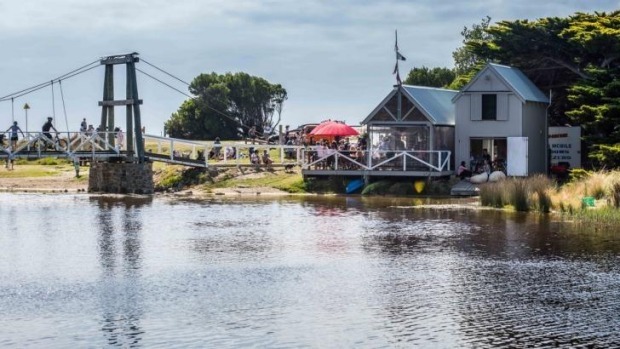 On the banks of the Erskine River at Lorne, on a sandbar linked to the main drag by a picturesque swing bridge, a young Argentine chef roasts chickens in the colder months over coals in an outdoor asador at the Swing Bridge Cafe. At any time of the year this a great spot for brunch and coffee. Chef and owner Jorge Guerrero also cooks great Argentine-inspired grilled meats at the Lorne Bowls Club, at 35 Mountjoy Parade. There is a macabre beauty to the twisted black trunks of the gnarled blue gums burned by the Christmas Day fires at Wye River. While scores of homes in the hills were destroyed, the Wye River Pub and General Store survived and are still surrounded by green bush. Nestled between the banks of the Wye River and the wide surf beach the Wye River General Store has a modern dark wall and marine plywood decor and serves good coffee, sells very good sourdough bread and serves fast, light meals such as a shredded pork burger with slaw, barbecue sauce and aioli. Perhaps pick up some lunch for a picnic at nearby Carisbrook Creek. Here the mouth of the creek has been covered in hundreds of stacks of beach rocks placed by local artists, giving the rocky beach the feeling of being inhabited by alien beings or strange troglodytes. Further west, in Apollo Bay, stop for coffee or local beers at The Bay Leaf Cafe (131 Great Ocean Road) or try the brews at the Great Ocean Road Brewhouse at the historic Ballarat Hotel. One of life's great pleasures at Apollo Bay is to buy a serve of flake (gummy shark) and chips from the Apollo Bay Fisherman's Co-op and walk out along the jetty and watch the southern rock lobsters being unloaded from the cray boats. Trafalgar Street, Apollo Bay. Christos Raskatos is a colourful local identity selling locally caught fish and publishing his own evocative poetry on the walls outside his fish shop by Lorne pier. Locally caught fish and southern rock lobsters can also be bought straight from fishers at their shop at the Apollo Bay Fisherman's Co-op (see above). One of the highlights of the Great Ocean Road is the Twelve Apostles, limestone rock stacks that are remnants of the former coastline. The hinterland to this part of the coast is a network of roads winding through farms and forest and home to a (legal) whisky distillery, eel fisher family, duck grower, dairy farmers, berry growers and preserve makers. 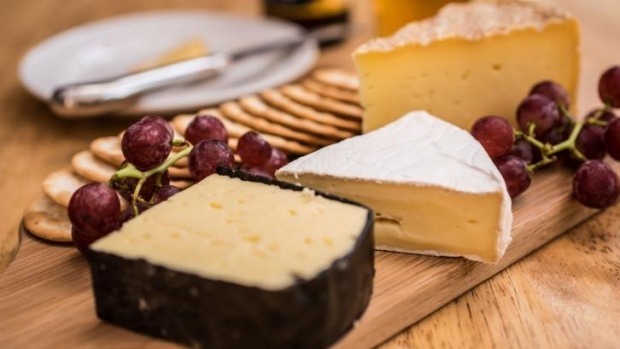 Some have farm gates and one of these is Timboon Cheesery, which sells not only award-winning milk and yoghurt but a range of white-mould and washed-rind cheese exclusive to their cafe (known to many as the Mousetrap). Set in sprawling, child-friendly gardens, this is a good place to have a cheese platter, a local beer or soft drink and enjoy the shade from the late summer sun. Ocean House is top-end accommodation at its best, with views across Lorne's Louttit Bay. Designed by architect Rob Mills, this guesthouse offers in-house dining thanks to relationships with local chefs. For a sense of the isolation that the 19th-century lighthouse keepers experienced, book in to the historic lighthouse keeper's stone cottage at Cape Otway. There's no TV signal – just the drama of the coast overlooking Bass Strait.